With meager resources, it is imperative to choose how and where to judiciously utilize them. Investment in expensive personnel, consultants, fancy office and capital equipment need to be well thought through. Can these be deferred or would it have an immediate benefit for the business? In case of longer term returns, can the compensation be staggered to justify them? Not only money, but time and equity are all valuable resources which need to be utilized wisely. Many startups opt for refurbished laptops and refurbished mobiles from Budli.in with warranty with cost savings of upto 66% compared to new or rented ones. Guaranteed buyback allows seamless upgradation at a pre defined period. The more radical or novel the idea, the more ridiculed it will be. It has been important for me as an entrepreneur to listen to feedback but filter them and not get affected by investors or customers who reject it outright. Having a sense of certainty and purpose helps develop and sustain grit, which research shows, is the single most important attribute for success for an entrepreneur. At an early stage, it is important to utilize expert opinion to get clarity with regard to legal implications of the business structure and each transaction. When I started off, it was not clear as to what the legalities and tax involvement with regard to buying/selling of second hand gadgets were. The same thing happened when GST was implemented. I had to seek expert opinion to get clarity on these. It is worth sorting these out earlier, rather than taking the risk of something going wrong at a later stage. Some entrepreneurs focus more on what their competitors are doing, rather than their customers. If a competitor raises a vast sum of money, it does not necessarily mean that there is no future in one’s own business. It is important to be aware of competitors activities. However, building a solution which is solving customers’ problems and knowing which customers are willing to pay for is much more important. How does one compete with millions of dollars? Resource constraint usually leads to much more innovation. I have seen companies raising large rounds of funding and then going bust. Building and maintaining a distinctive value proposition for customers is the most important strategy over time. The key to becoming an overnight success is years of hard work and perseverance. Maintaining the balance of short term nimbleness and long term focus is a fine balancing act which needs practice. Most companies go through a near death experience during their life time and usually this perseverance can be the difference between failure and success. Check out this list of ten strategies which have helped me as a startup entrepreneur. 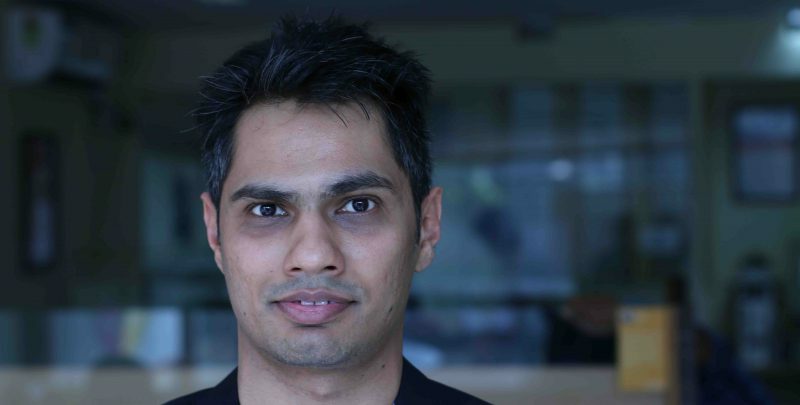 Rohit Bagaria is a zentrepreneur and Founder & CVO of Budli.in. He is on a mission to provide 100 million people access to technology through recommerce. He is the author of his book 'Embrace Change'.